Pain in back of the neck is the main source of suffering for hundreds of millions of people across the globe who must deal with the ravages of chronic cervical spinal symptoms each day. 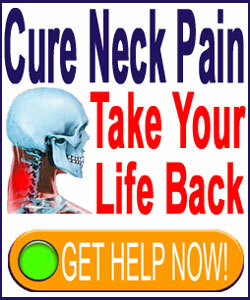 Neck ache is the second most common form of chronic pain, bested only by lower back issues. Neck pain is also a huge part of the modern dorsopathy industry and an incredibly profitable care sector. It is no surprise that so many doctors love the treat pain, since this is a real money maker. However, it is rare for doctors to actually cure neck pain, both due to diagnostic errors, as well as the common, but disturbing incidence of financial motivation coming before the wellbeing of patients. This dialog focuses on pain that is located in the center rear of the neck anatomy. Pain in the rear of the neck can come in a great variety of possible forms. 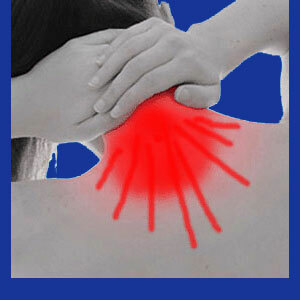 Only a few patients have simple neck pain which stays in one place and does not involve any other anatomical region. Far more common is the experience of combination neck pain, involving one or more of the following regions: the head, the face, the jaw, the shoulder, the upper back, the clavicle, the arms, the hands or the fingers. A great number of neck pain sufferers also experience other chronic symptomatic locations elsewhere which are seemingly disconnected from their neck issues. These conditions may include lower back pain, sciatica or any of the variety of ongoing pain syndromes ranging from carpal tunnel syndrome, to tendonitis, to plantar fasciitis and more. This is no coincidence of those who subscribe to the theory of mindbody medicine, since most of these health crises have the same underlying source: regional oxygen deprivation. The back of the neck seems like a small anatomical area, but patients report many different pain patterns there. The pain may be directly centered over the spine. It may be to one side or the other of the central spinal column. Some patients have neck pain on the right side only or neck pain on the left. Others have serious pain at the base of the skull, often in combination with headaches. Many patients have lower neck pain, unilateral or bilateral, typically with feeling of tingling, heat or shooting sensations into the upper back or into the shoulder. Personally, I have suffered many of these expressions, particularly the tingling heat sensation and the terrible incidence of tension headaches and neck stiffness. I completely empathize with your suffering in this regard. Any new or unexplained pain should always be evaluated by a qualified physician. The cervical spine is a sensitive structure and problems here can enact truly devastating health issues and even permanent disability. That being said, the neck is a lot tougher than it appears to be and even seemingly desperate structural changes do not have to produce any pain whatsoever. I have every single disc in my neck herniated, as well as 6 others, with one really nasty looking protrusion complete displacing and reshaping the contour of my spinal cord. This is worrisome and requires monitoring, but being that no definitive compression of the cord exists, I have learned to put it behind me and live without the fear of it. This is a real blessing for anyone with a rapidly aging body. I advise all patients to learn the facts about neck pain and how they might relate to your particular structural issues before seeking treatment. Remember, many conditions are unfairly and incorrectly blamed for causing neck pain when all along they are coincidental and innocent.